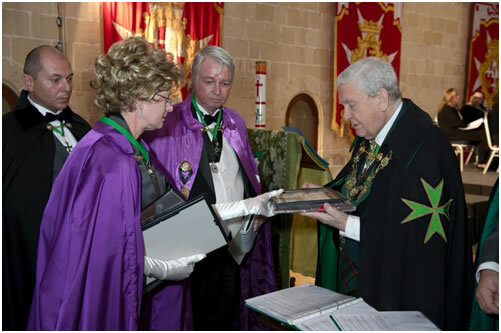 The Sacred Medical Order of Knights of Hope has, for these last five years now, been constantly working in various countries in hands-on Hospitaller work. In January 2012, the High Officers of SMOKH, led by their Grand Master, Chevalier Charles Mac Williams, unanimously voted to ensure that the Grand Protector of SMOKH would also be the Supreme Grand Prior of the Hospitaller Order of Saint Lazarus of Jerusalem. With this addendum, SMOKH became a fully fledged member of the United Grand Priories of the Hospitaller Order of Saint Lazarus of Jerusalem, with its two senior officers representing SMOKH within the Supreme Grand Priory of the Order. 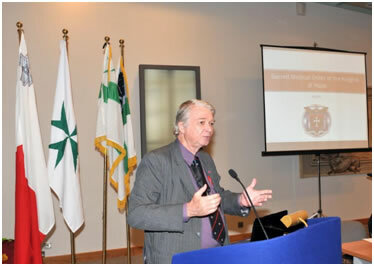 During the April 2012 solemn investiture of the Order of Saint Lazarus, which formed part of the First International Lazarite Symposium held at the Knights' of Malta's Sacra Infermeria, in Valletta, a delegation of the Sacred Medical Order of the Knights of Hope was present for the event in question and also took the oath of fealty during the solemn investiture service. 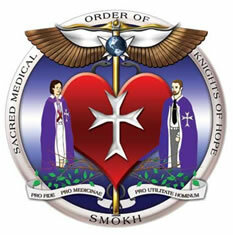 The Sacred Medical Order of the Knights of Hope is a Church with a special and sacred ministry and a medical religious Order. As an ecumenical Order, membership of the Sacred Medical Order is by invitation to both men and women who are of good character and standing in their community, want to learn about our sacred medicines, and who wish to help suffering mankind. SMOKH has many members from diverse fields. Now in its fifth year of development and growth, focus is now on education and preparedness. I. 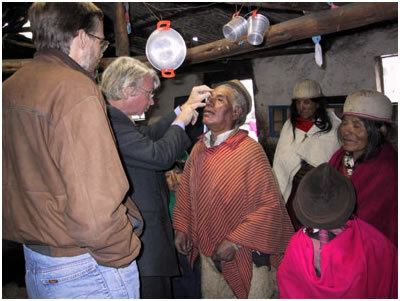 To disseminate the healing principles of the medical mission and function as a Church of special ministry, being a religious Order to receive, preserve, and propagate His doctrines and ordinances. II. To preserve, protect, and disseminate the sacred medical teachings, the Sacred Scripture and divine Traditions of our forefathers - to be preserved, guarded, cataloging, digitally preserving, and disseminating rapidly disappearing medical texts and scripture to be taught and promote the traditions of monastic medicine and nature cure. III. To sanction, direct, and govern our member practitioners. IV. 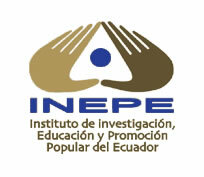 To establish, equip, staff and maintain humanitarian relief and medical treatment centers and hospitals. V. To promote and participate in all phases of education of practitioners, physicians, therapists, nursing staff, paramedical and nutritional care personnel. VI. To raise relief funds for all these humanitarian, organizational, and medical needs. VII. 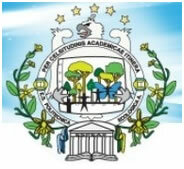 To promote peace and prosperity, by diplomacy, cooperation and consensus. VIII. To cooperate with IGO's (Intergovernmental Organizations), NGO's (Non-governmental Organizations), and Governmental Organizations for purposes humanitarian and medical needs. Hope is an essential and fundamental element of Christian life, so essential indeed, that, like faith and love, it can itself designate the essence of Christianity. Healing is what happens when Pastoral Practitioners minister, enabling people to receive restoration to health of body and mind through God's great love and mercy. This restoration of health is part of what is meant by the abundant life which the Lord promised. 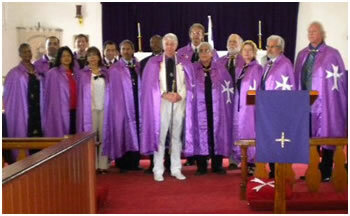 The Order is based in Ecuador and has member missions in Nepal, Nevis, the Philippines, Venezuela, and Curacao.